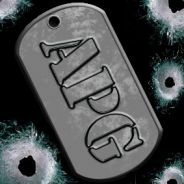 Recruiting admins and new members! Is anyone still around here? [APG] About us, Our Servers and NEWS! About us & our Community: All Platform Gaming We are a Multi-Gaming Community & Clan. We support all types of Gamers, NO matter your skill or hardware or even how much you play... Your more then welcome to join us or our community. Just a friendly note that joining this group does not mean you are made a member! We also advertise for other clans on a help me and I'll help you basis. All Platform Gaming We are a Multi-Gaming-Community/Clan. Games Supported So Far: COD4, BF2142, BF2, L4D, TFC, CS1.6, DOD1.3, FireArms, TF2, CS:S, DOD:S, HL1 & Mods, HL2 & Mods & many more. We also support online Console gaming such as: PS3 and XBOX360 Live. Is a large part of our online gaming community .While we do support a variety of group specific activities, our focus has been and will always be providing the best possible internet gaming experience for all of our members and guests. Everyone is welcome to join the All Platform Gaming community, the only requirement we ask is? To treat everyone with respect. We are all here to have fun, to experience the games we love in a mature and great environment.